Genuine Iwata replacement needle for Iwata HP airbrushes Type A and C. Made from the finest stainless steel for maximum performance and durability. 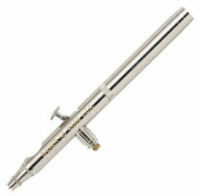 Badger 100SG airbrush is a double action airbrush that features a 1/32 oz fluid reservoir. Offers precision performance for a soft spray pattern and tight line detail. Perfect for fine artists, illustrators, and cake decorators. Made of premium grade PVC material which is twice as strong. 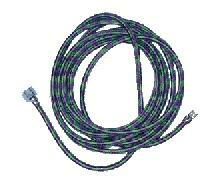 This air hose is covered with a durable, tightly woven nylon. 1/4" NPT female pipe size fit most compressors.